It’s not that I’m cheap, well, maybe a little, but I’ve always preferred perennials to annuals because they give me a better return for my money. While annuals must be planted each year, only to die at season’s end, I plant a perennial once, and enjoy its return year after year. That’s good gardening value! Some would argue that changing things up each year makes for varied and interesting displays, but I adore flora that returns bigger and better each year, merging into mature, multi-layered tapestries of color and texture. We’ve highlighted the attributes of 17 outstanding perennials and noted the contribution of each to a unified landscape design. Get ready for some beauties! 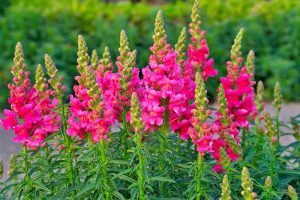 The following flowering perennials are easy-to-grow and have exemplary characteristics that make them garden essentials. And they will grown almost anywhere in the USA or UK. 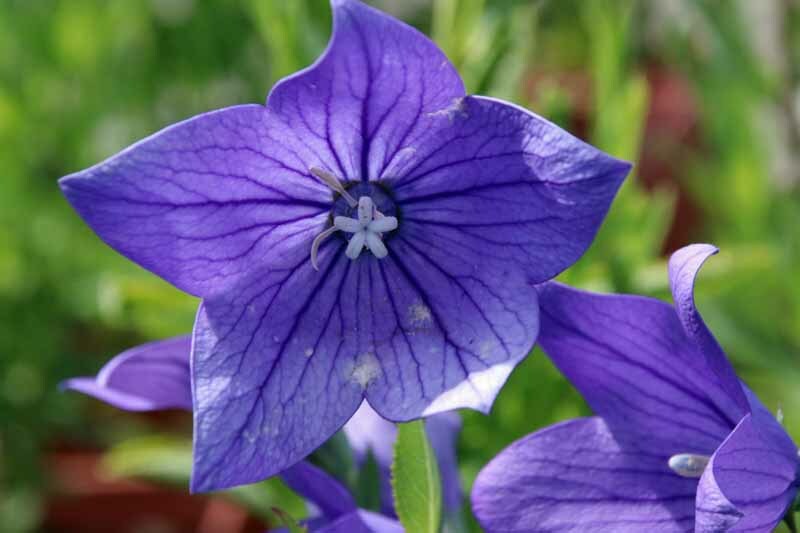 Balloon flower (Platycodon) is an especially easy-to-grow plant that prefers full sun to part shade and organically-rich, well-drained soil. Blue, white, or pink blooms; your choice. 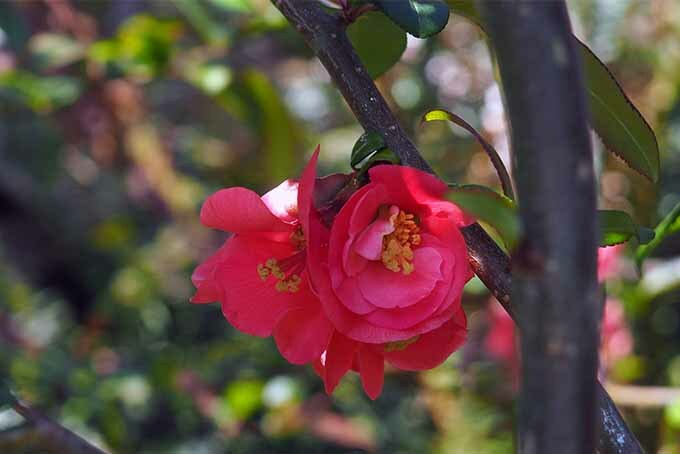 Choose cultivars with blossoms of blue, white, purple, or pink, in single- or double-petal varieties. Silvery-green stems may exceed 2 feet in height, bearing balloon-like buds that open into starry blossoms in July and August. Balloon flower functions as a focal point, and interplanting it among other flora creates a pleasant repetition that draws the eye through a landscape. In addition, blue brings out the best in other colors, making them seem to pop just a little bit more. I like to place blue balloon flower beside red bee balm and white Montauk daisy for a patriotic July display. White-petaled varieties also perform an essential function. If you have an existing garden that contains a wide variety of colors, interplanting with white helps to unite and enhance such an eclectic mix. Sow seeds or rootstock in early spring in zones 3 to 8. If desired, deadhead to extend the bloom season. Read our complete growing guide here. 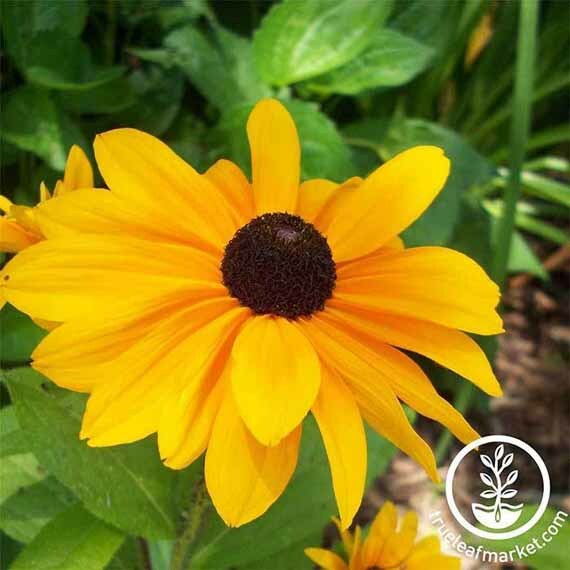 Black-eyed Susan (Rudbeckia) is a native wildflower that does best in full sun and organically-rich soil but tolerates average soil and even drought. 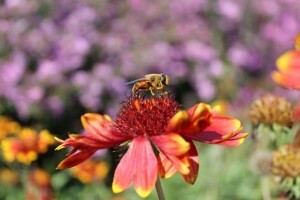 Varieties range from native Rudbeckia hirta, with its yellow-orange petals and dark brown centers, to hybrids in shades of deep orange and red. 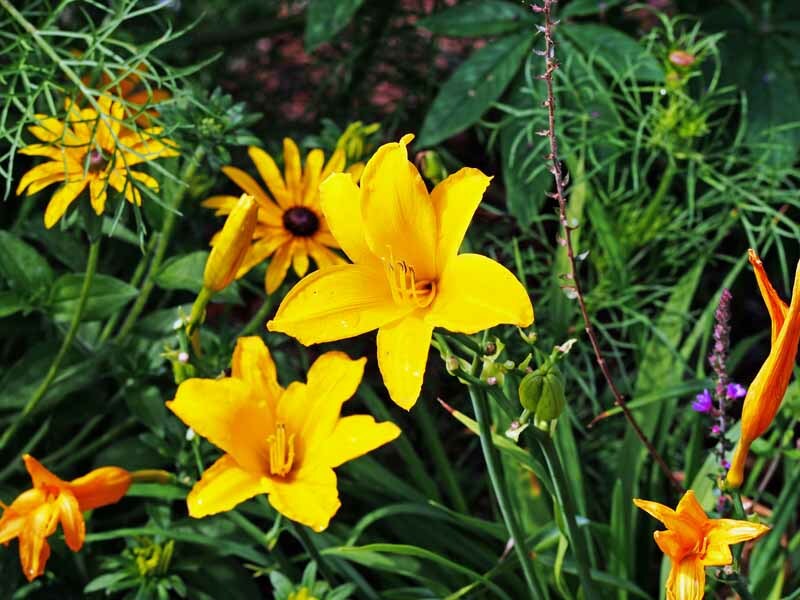 This garden classic blooms from June to September on stalks of up to 3 feet tall. Black-eyed Susan provides continuous medium-height color saturation throughout the summer months. It self-sows, so either deadhead, or be prepared for seedlings to sprout next season. If you have a large space to fill, this can be a bonus. However, unless you have a native variety, your seedlings may not replicate the disease-resistance of their forbears. 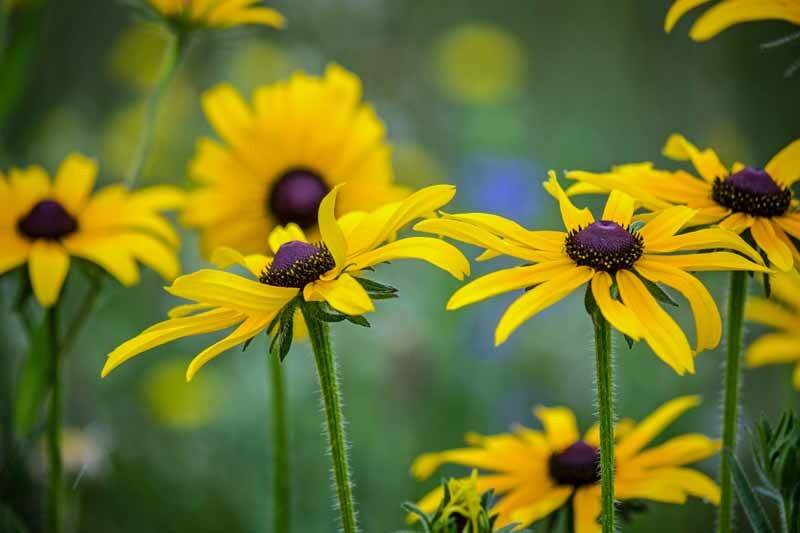 Try alternating black-eyed Susan with Montauk daisy and coneflower for an interesting grouping of medium-height flora with similar sun and soil requirements. Place it in the middle position of borders and beds, with ground covers in front, and tall, structural elements like giant allium in back. Sow seeds or plants in early spring in zones 3 to 9. 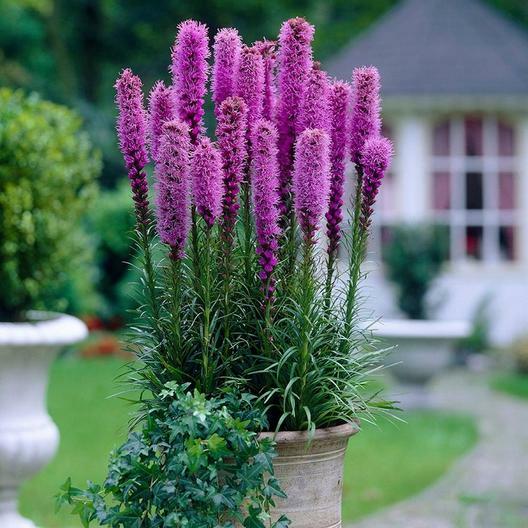 Blazing star (Liatris spicata) is a native wildflower that attracts pollinators to the garden. 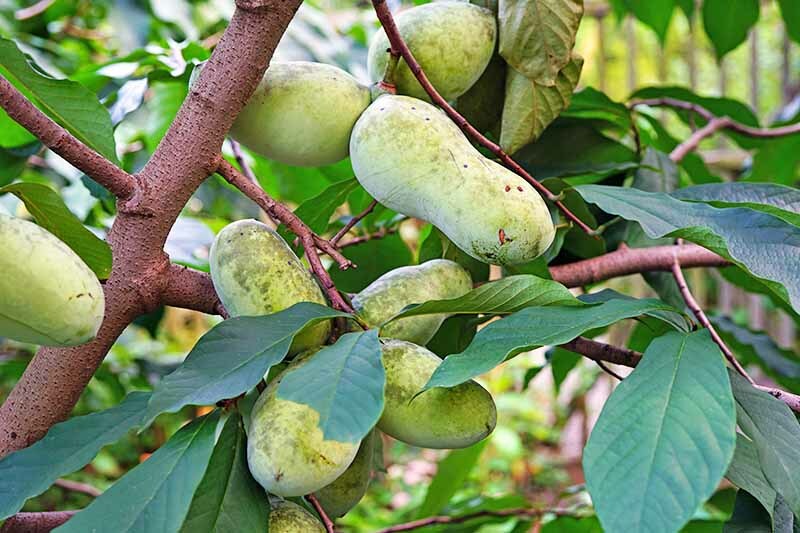 It prefers moist, organically-rich, well-drained soil. 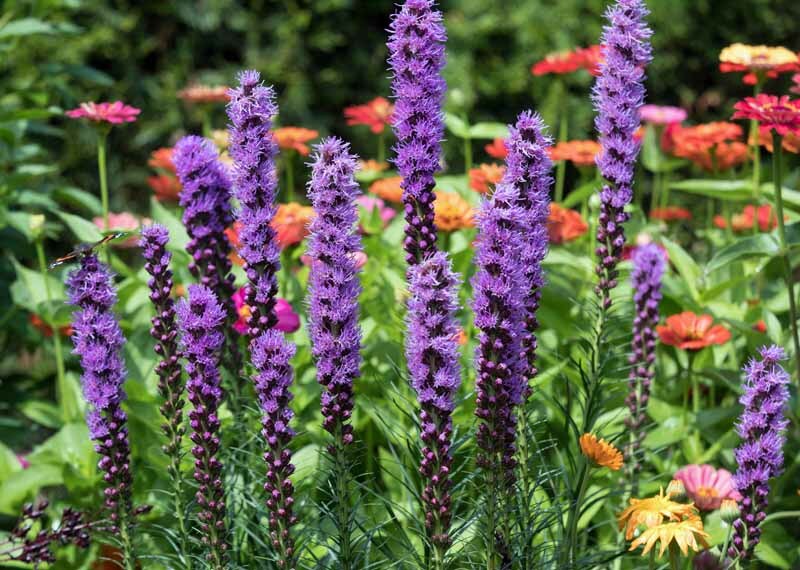 Blazing star adds vertical drama to a garden. Spikes laden with blossoms of pink, purple, or white may reach 4 feet in height. This linear design makes a bold impact from July to September. And, because it’s sturdy and blooms from the bottom up, it lasts a long time in vase arrangements. Interplant blazing star at mid-story for unexpected vertical drama, or at the back of beds and border for structural definition. Sow seed or plants in spring or fall in zones 3 to 8. Divide over time as needed. Bugleweed (Ajuga) is a fast-growing evergreen ground cover for sunny to partly shady areas with average to moist, well-drained soil. Varieties range from blue to white with shiny green, purple, and variegated foliage, upright blossom spikes, and a height about 6 inches. Ajuga and tulips in a spring garden. 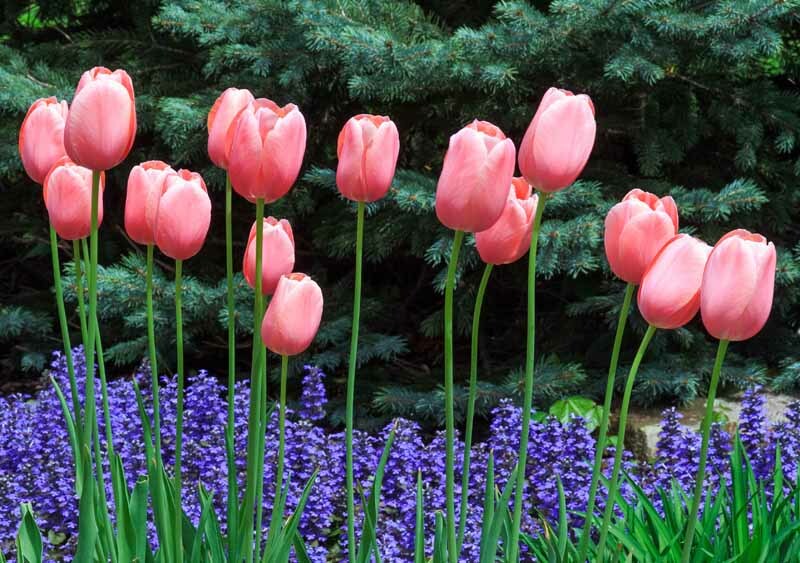 Sow it right over your daffodils and hyacinths for low-profile May to June color. Use it along walkways and in troublesome areas where you can’t seem to get anything to grow. 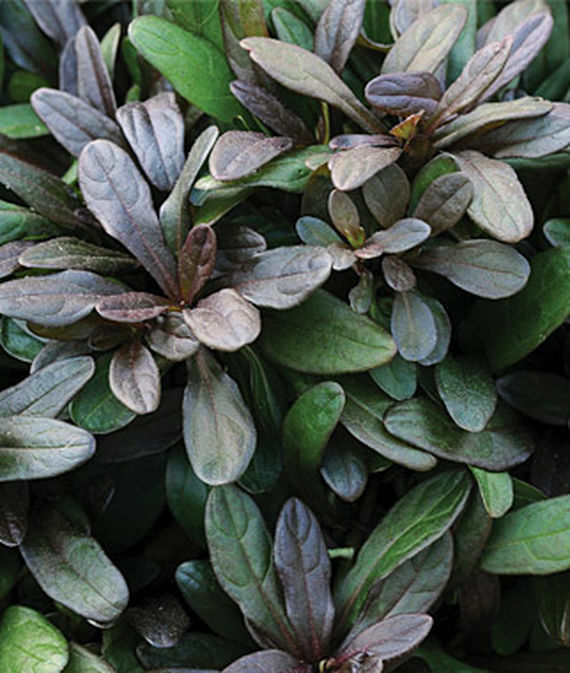 Ajuga’s key characteristics are its year-round interest and weed inhibition. Sow seeds or plants in early spring in zones 3 to 10. 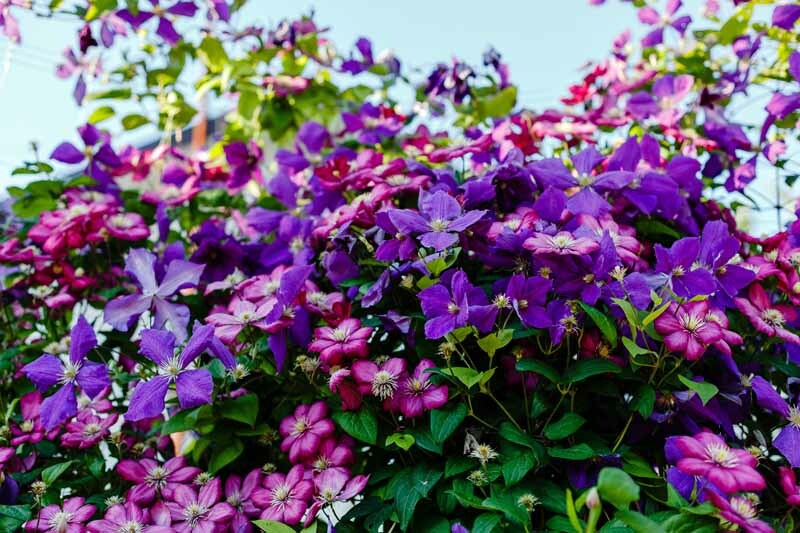 Clematis is a non-invasive flowering vine that grows in full sun to part shade in moist, organically-rich, well-drained soil. 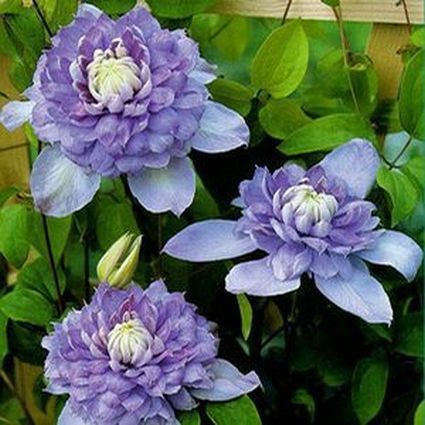 Clematis can be found in almost any color imaginable and with different shaped flowers. And you can find spring and summer blooming varieties. There are spring and summer bloomers, and some are fragrant. 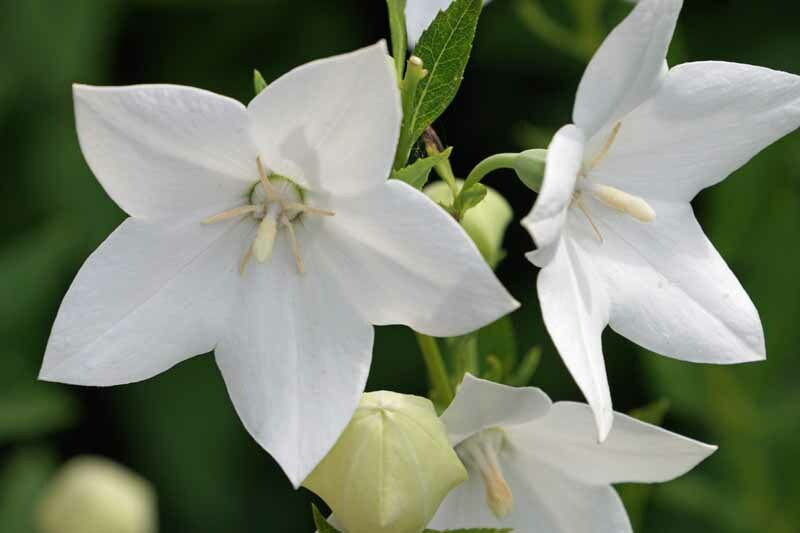 Large, showy blossoms range from velvety burgundy to downy white, strewn along vines reaching over 12 feet long. 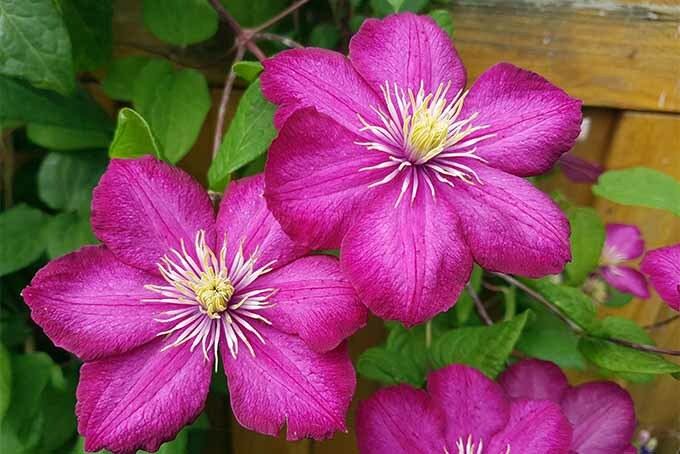 Clematis functions as “window dressing” in the garden. Train it up and over lattice frameworks, arbors, and fences to create privacy. Train it up a lamppost, over a wall, or anywhere you want a mass profusion of blooms. Dress up that boring window-less garage wall with a foundation planting and decorative trellis. Plant rootstock in spring or fall. 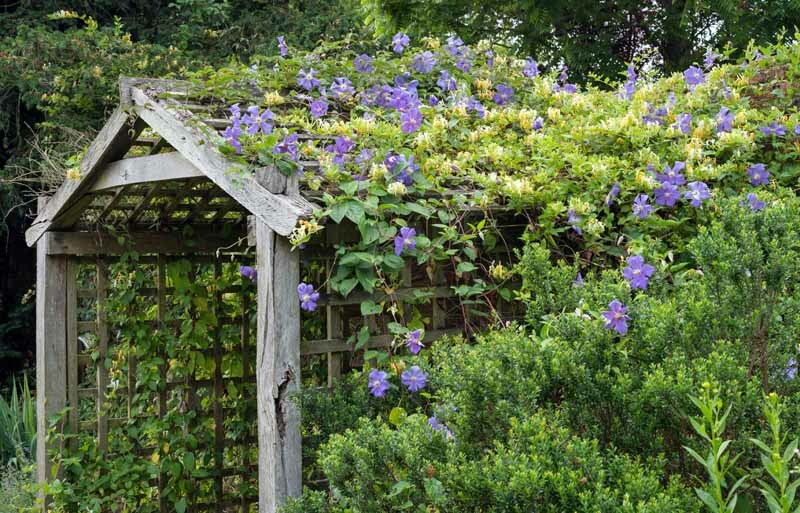 Do not prune until fully established, and then only on varieties that do not produce new shoots on old wood. Coneflower (echinacea) is a garden staple in my family. 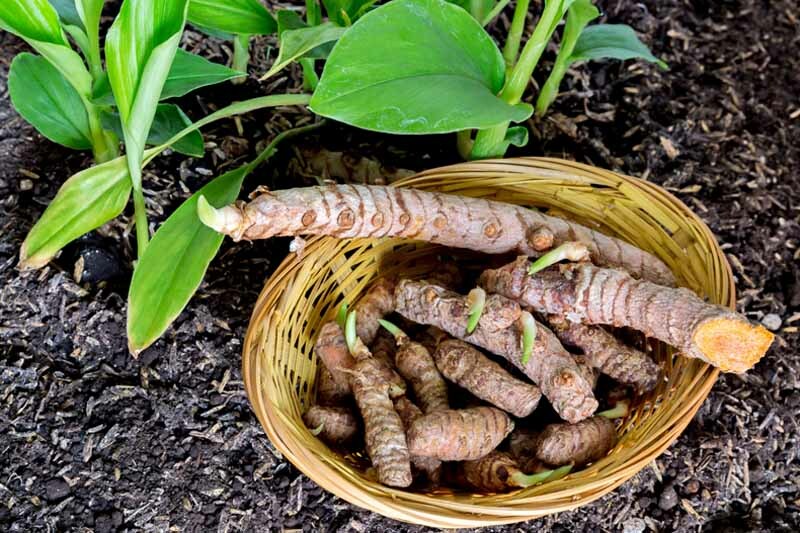 It prefers full sun and organically-rich, sandy, well-drained soil. 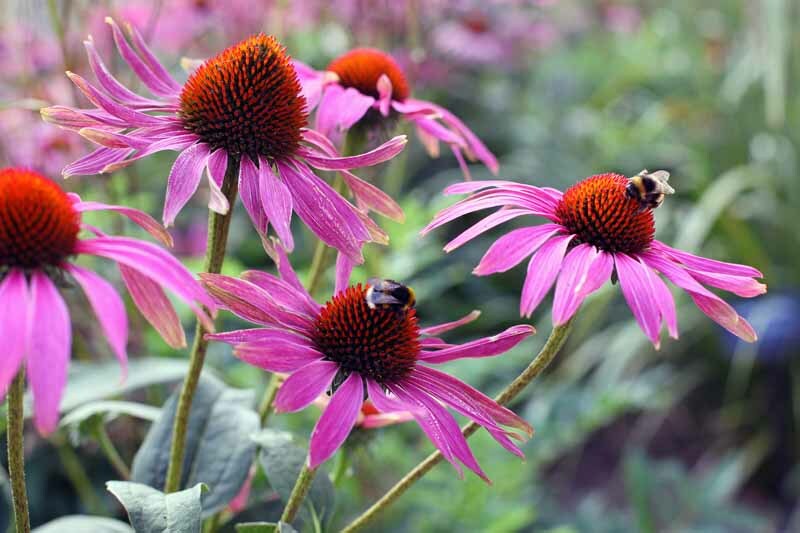 Native purple coneflower (Echinacea purpurea) and its cultivars often outperform today’s yellow and orange hybrids. Choose coneflower for a summer’s worth of color. Prized for centuries for its medicinal qualities, coneflower blooms from summer to fall, and its seed heads attract songbirds like goldfinches. Topping out at about 3 feet, its key feature is the ability to provide consistent, long-lasting mid-level color. 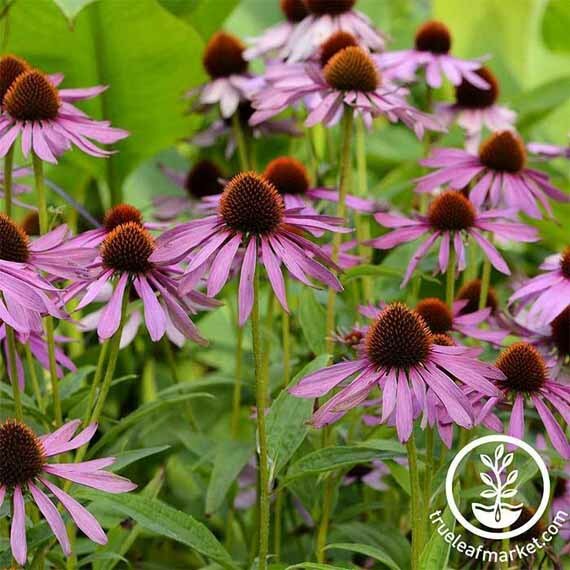 It is especially attractive interplanted with varieties of similar soil culture like black-eyed Susan. Sow seeds or plants in zones 3 to 9, in mixed beds, borders, or stand-alone drifts. 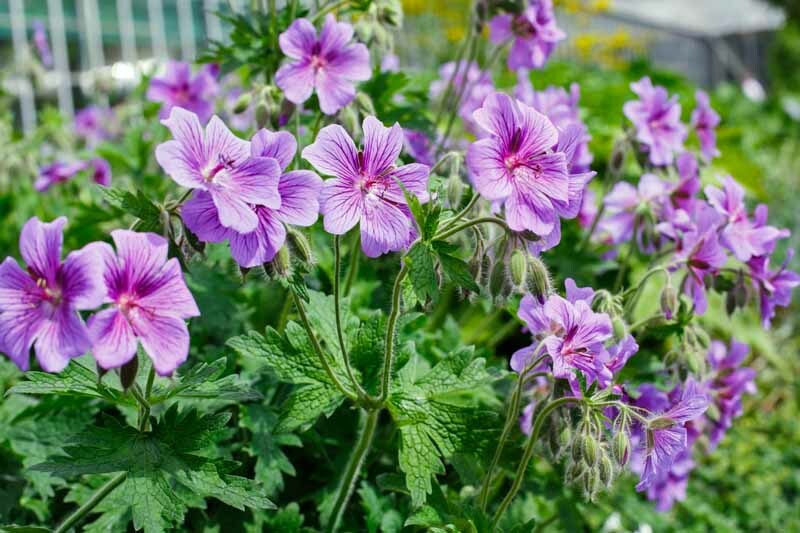 Cranesbill geranium, or hardy geranium, is a mounding species that thrives in full sun in average, well-drained soil. Reaching heights of up to 3 feet, it’s a good middle-position filler in beds and borders, with shrubs behind, and shorter flora in front. 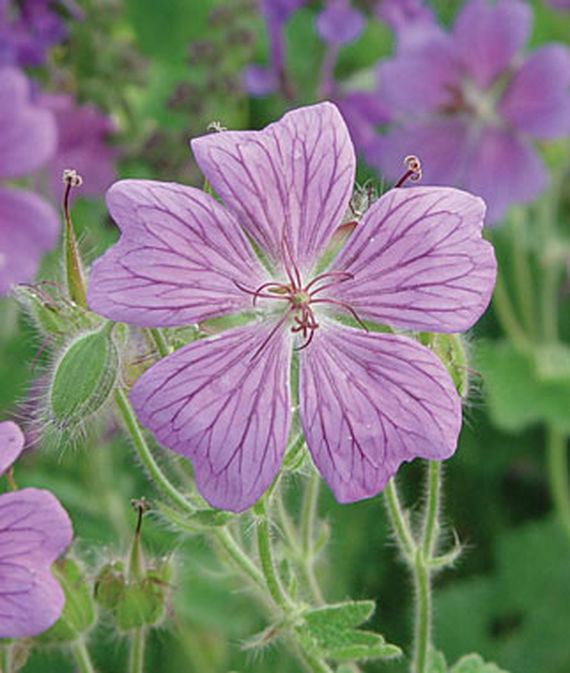 Cranesbill geranium fills the mid-level with a profusion of blooms. 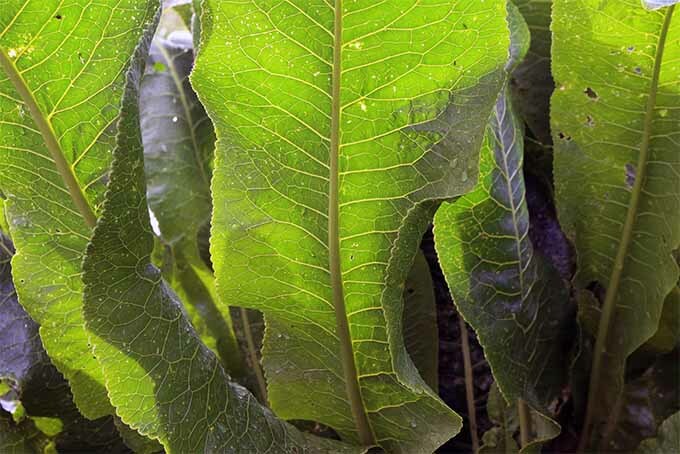 This plant’s voluminous foliage makes it useful as a camouflage for unsightly faucets, hoses, utility meters, and other foundation eyesores. In autumn, it adds gold and umber shades to the landscape. Cranesbill blossoms are showy and appear continuously from spring until frost. 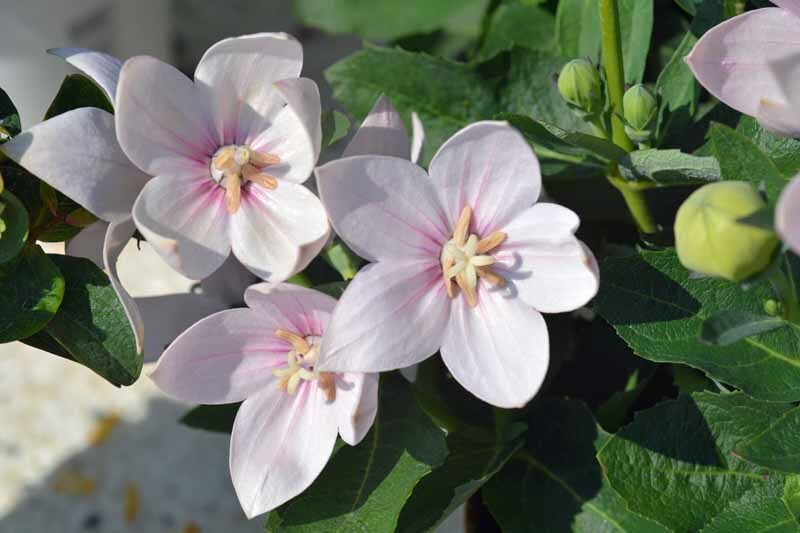 Choose cultivars in shades of pink, purple, blue, and white. Sow seeds or plants in early spring in zones 4 to 9. Divide as needed in spring or fall. 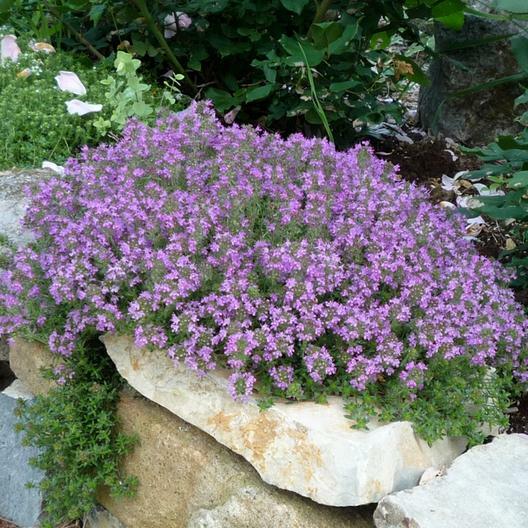 Creeping Thyme (Thymus Serphyllum) is a culinary herb that makes a stunning, color-saturated edible ground cover in full sun and average, well-drained soil. Brushing past or stepping upon it releases a pleasant, minty fragrance. 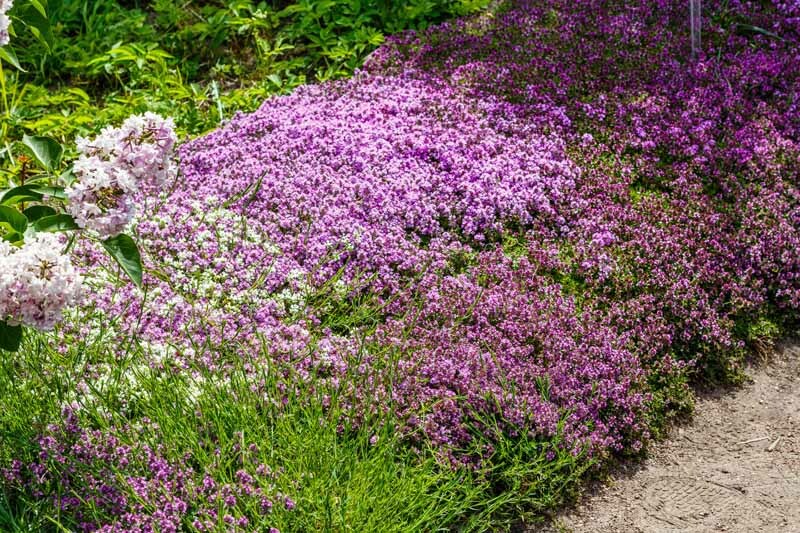 A pink carpet of creeping thyme borders a path. It’s drought tolerant and in mild climates, evergreen. Topping out at about 3 inches, it’s tiny pink-purple blossoms form a rich carpet of color as summer gets underway. 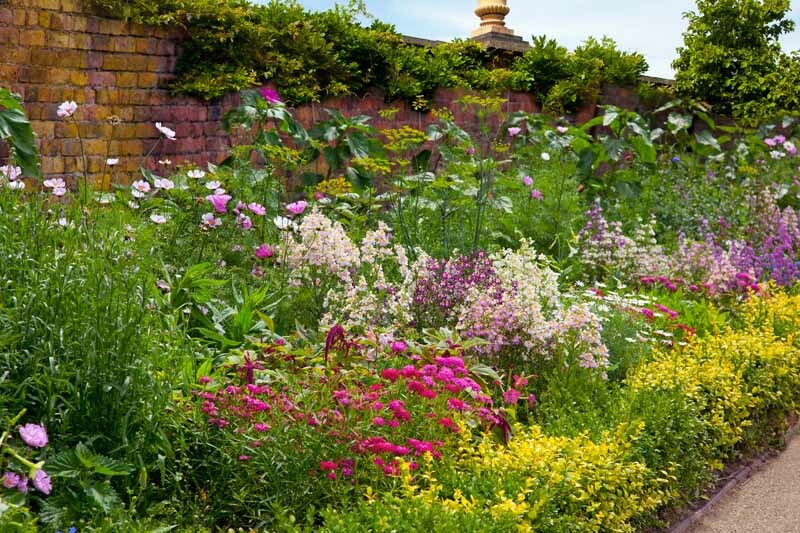 Sow it en masse along walkways and driveways, at the very front of beds and borders, and in a drift of its own, to show off its primary asset, vivid color. Sow seeds or plants in early spring in zones 4 to 8. 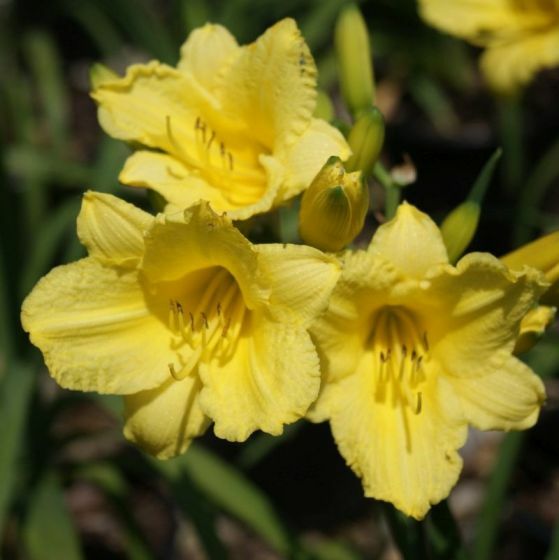 Daylily (Hemerocallis) is a clumping root plant with multiple bold, shapely blossoms per stem, each opening for just one day. 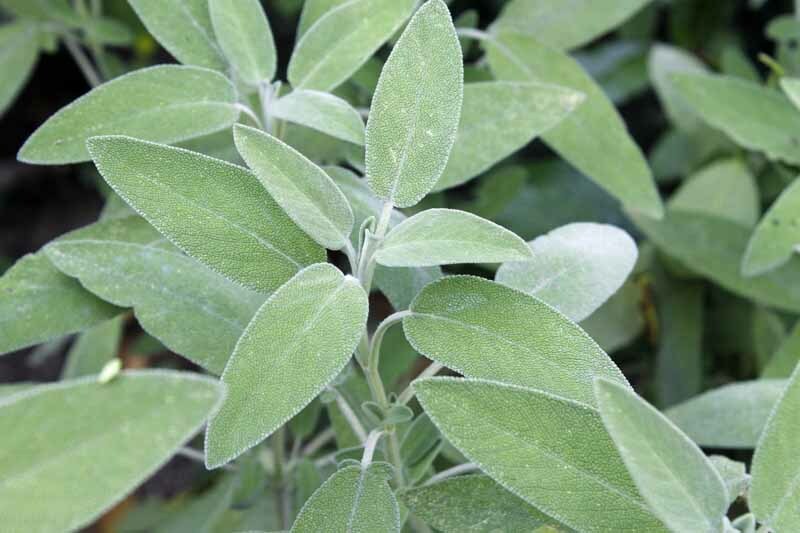 It grows heartily in full sun in organically-rich, well-drained soil. 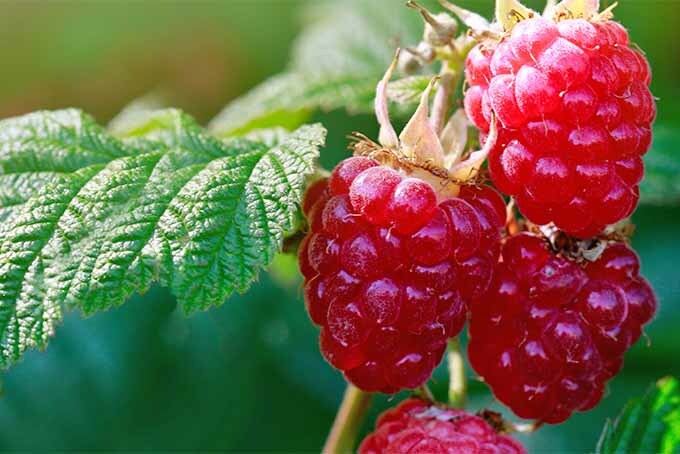 Cultivars are available in a vast array of colors including orange, pink, purple, red, yellow, and white. The best features here are the elegant shape of the petals, and heights of up to 4 feet tall. It shows best en masse, with spring, summer, and fall bloomers for a continuous spring to frost display. Use tall varieties to best advantage as stand-alones or back-of-border anchors in expansive beds with room for spreading. Shorter types may used to define border frontage with a swath of color. All types may be grouped en masse for vivid drifts. Bed plants in spring or fall in zones 3 to 9. Deadhead spent blossoms to extend bloom time and divide as needed. 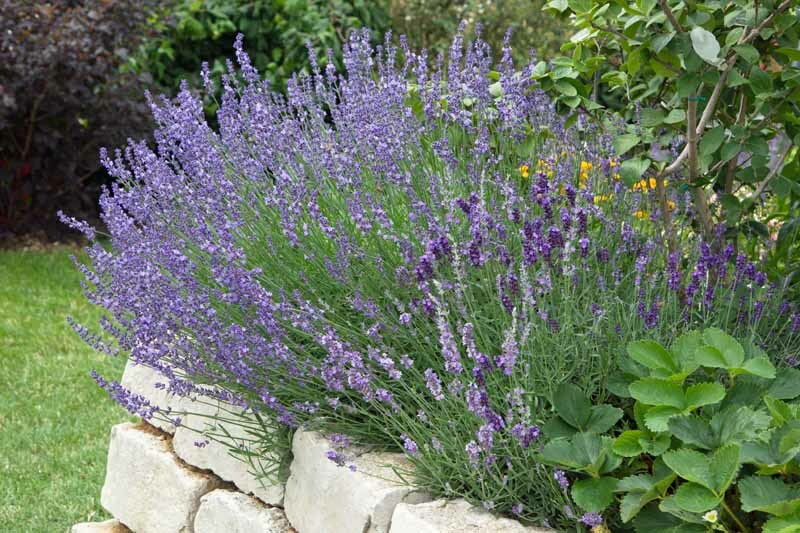 English Lavender (Lavandula aufustifolia) is a shrubby herb used in medicinal and culinary applications. If you have full sun and dry, sandy, somewhat acidic soil, this is the perfect choice for rockeries, beds, borders, and kitchen gardens. Lavender’s foremost asset is without a doubt its fragrance. 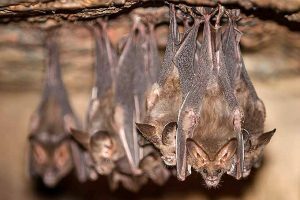 Be sure to place it near bed and border perimeters to encourage brushing past and releasing its pungent aroma. 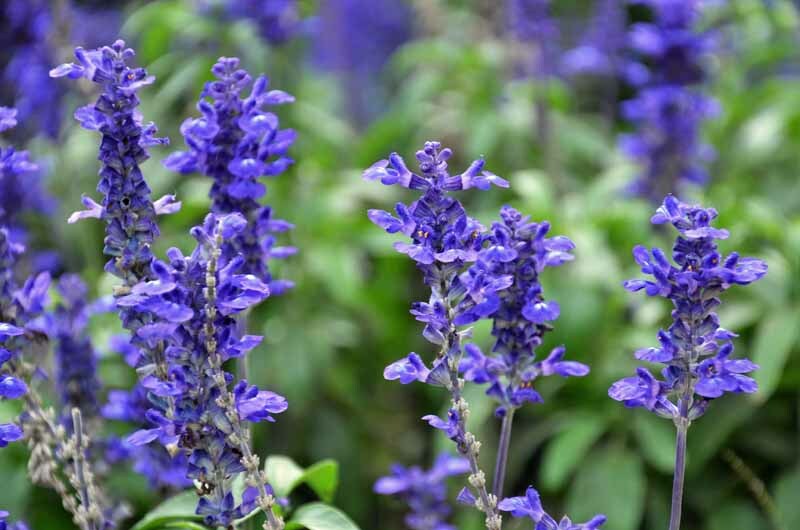 In addition to scent, the spikes of blue-purple blossoms add dramatic lines to the landscape. With a compact form and 1- to 2-foot height, you may also use lavender to create a band of color and texture at the mid-story level. 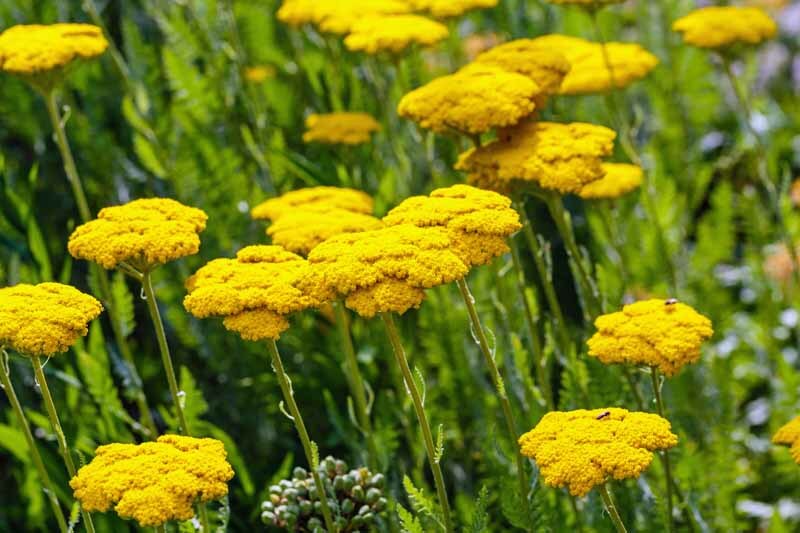 Consider mingling it with yellow yarrow for an appealing contrast. Sow seeds or plants in early spring in zones 5 to 8. Enjoy color from June through August, and deadhead to promote optimal blooming. Prune every few years to maintain a compact shape. 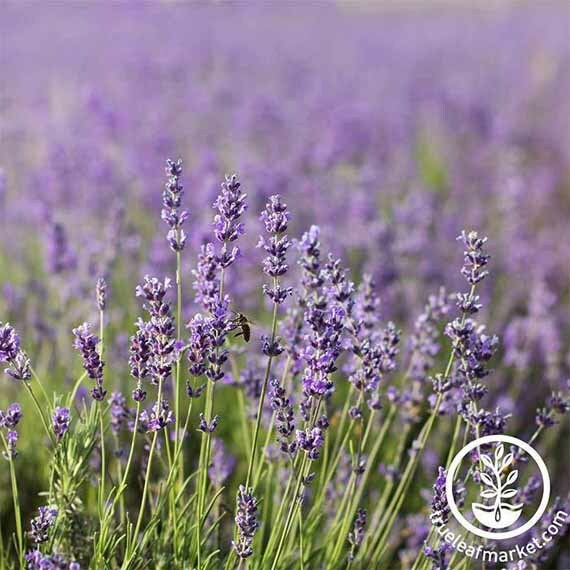 Lavender comes in several different species but the English variety and the French type are the two most common. 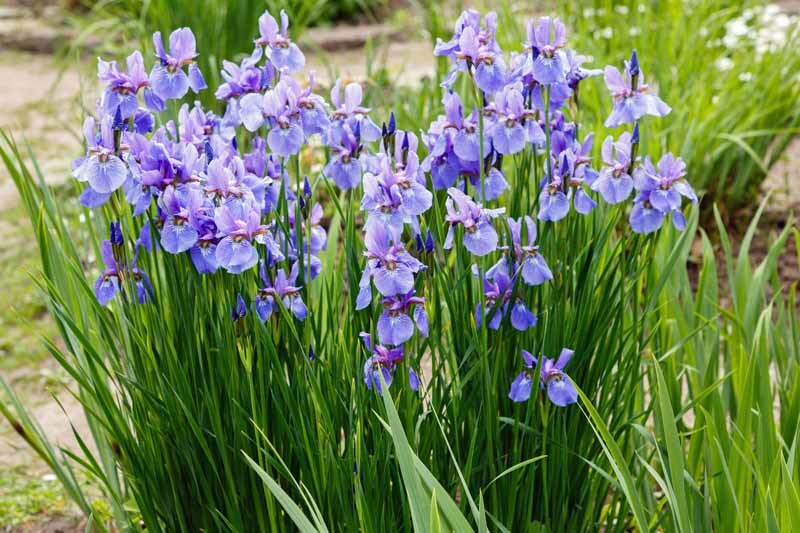 Siberian Iris (Iris sibirica) grows from a root structure called a rhizome, in full sun to part shade. 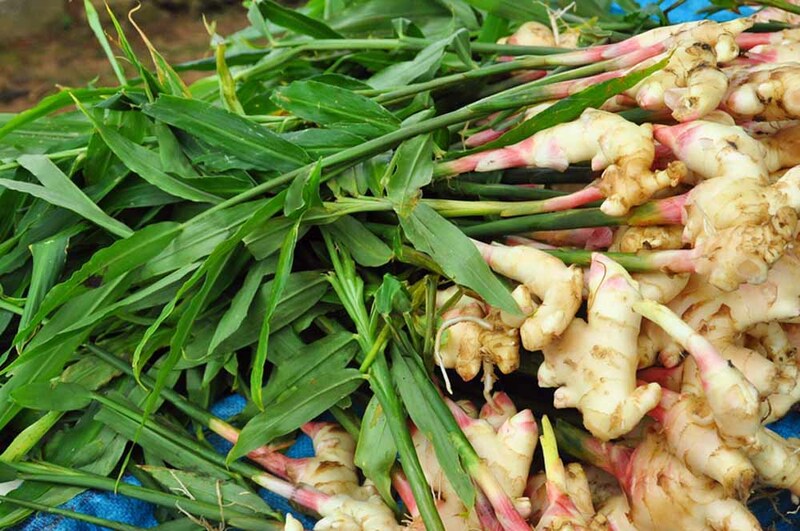 It prefers organically-rich, moist but well-drained soil. 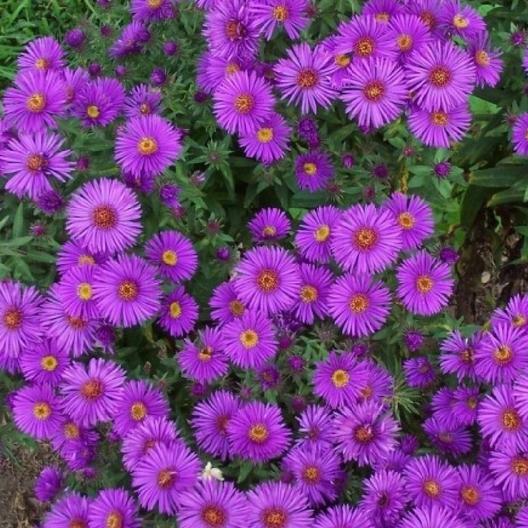 Cultivars are available in a rainbow of colors including blue, pink, purple, white, and yellow, with heights up to 4 feet. Iris grows in showy clumps that takes center stage as a focal feature, naturalizing into dramatic drifts of color in the spring garden. Some varieties like to have “wet feet,” making them perfect solutions for dampish trouble spots. Slender stems with showy blossoms appear in late spring. When the blossoms wither, prune away the entire stems. Leave the ornamental grass-like leaves intact to feed the rhizomes and add linear interest to the landscape right through fall. 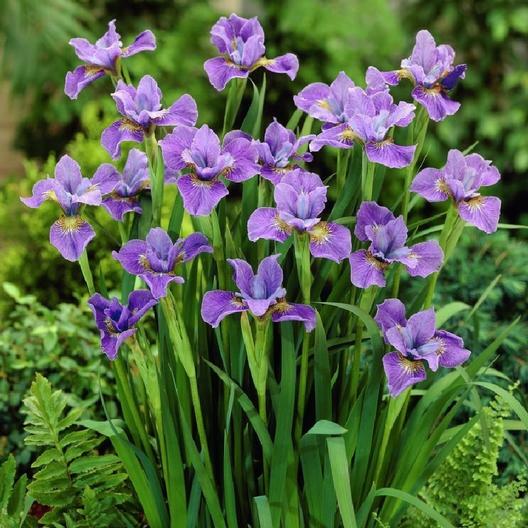 Siberian iris is suitable for zones 3 to 8, where it may be bedded in early spring or fall. 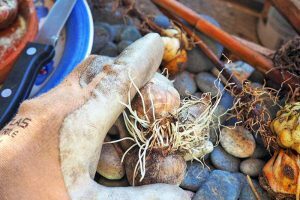 While you may sow singly, placing several together makes for an attractive clump. Plan to dig them up in about 4 years to remove withered rhizomes. 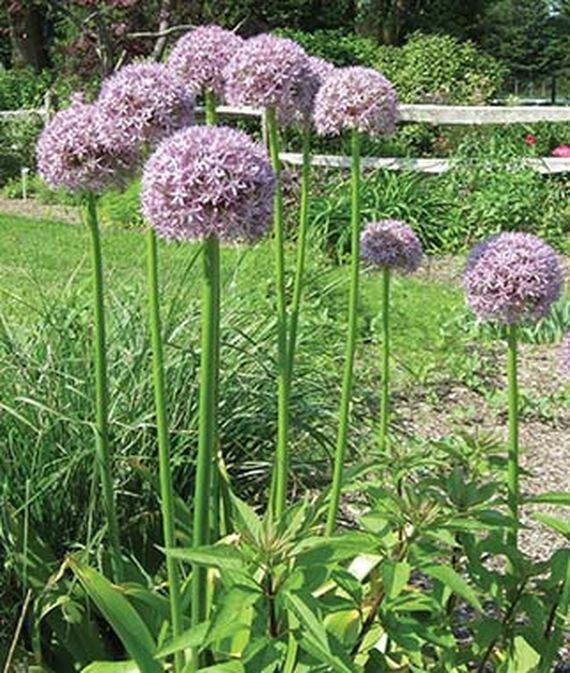 Giant Allium (Allium giganteum) is a striking ornamental onion bulb that thrives best in full sun and moist, organically-rich, well-drained soil. Large globes of purple blossoms perch atop bare stems that reach up to 5 feet in height. This giant variety provides whimsical pops of color and texture that seem to float on air. 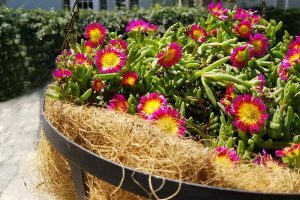 Sow it sporadically for a quirky accent, mass it in a drift, use it to define the back of a border, or make it a focal point in the center of a bed. 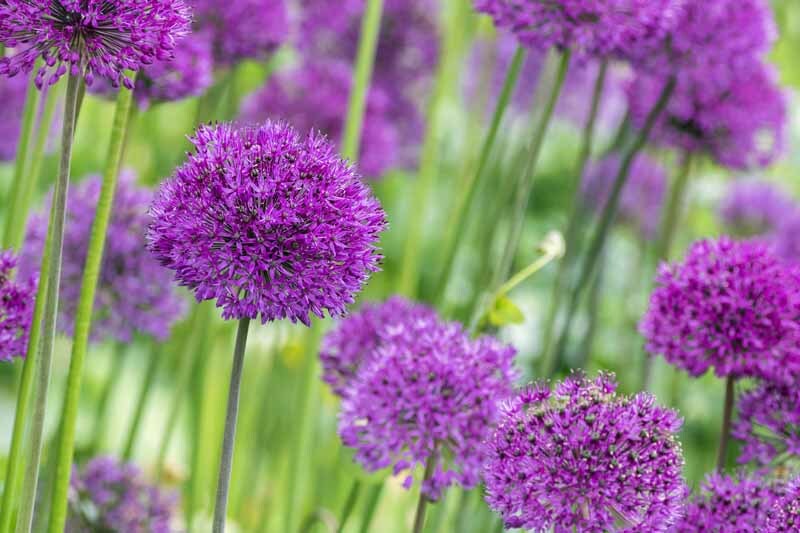 Giant allium blooms in May and June. Bed bulbs in fall in zones 5 to 8. Excessive moisture or poor drainage may cause rotting. Hellebore (Helleborus orientalis) is an rhizomous evergreen prized for appearing in the garden as early as January and lasting well into spring. 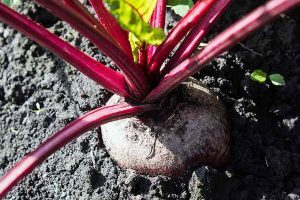 It likes organically-rich, moist, well-drained soil, and a little shade once the sun starts to heat things up. 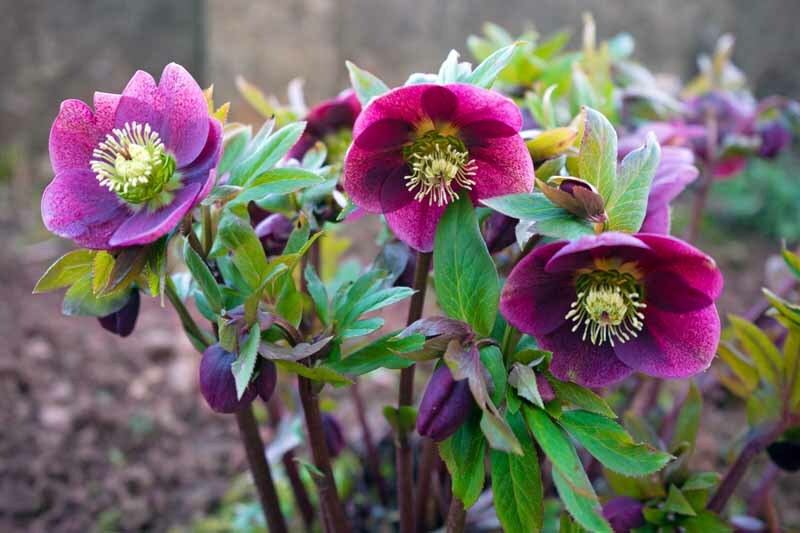 Hellebore’s job in the garden is to usher in the springtime, and provide 1-foot-high, texturally-rich, glossy green foliage throughout the year. Cultivar colors include green, pink, red, and yellow. Place beneath deciduous trees as a neutral ground cover, and the perfect companion to spring bulbs. 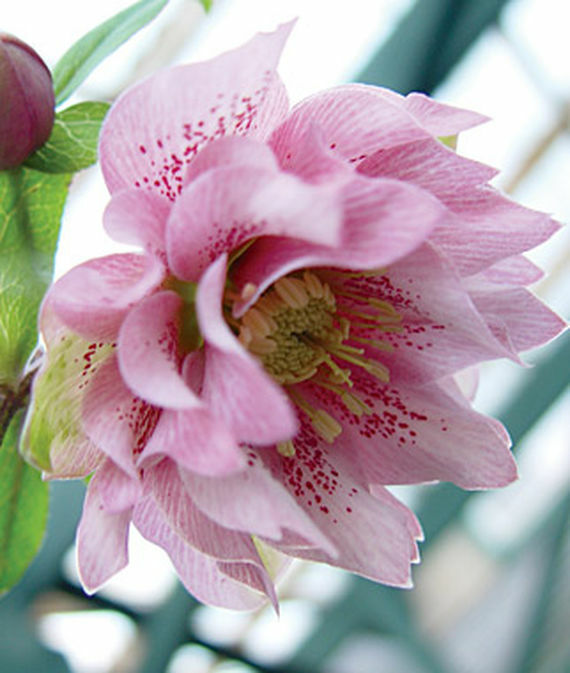 After the bulbs wither, simply tuck their stems out of sight beneath the generous-sized hellebore leaves. Sow seeds, rootstock, or plants in early spring in zones 4 to 9. 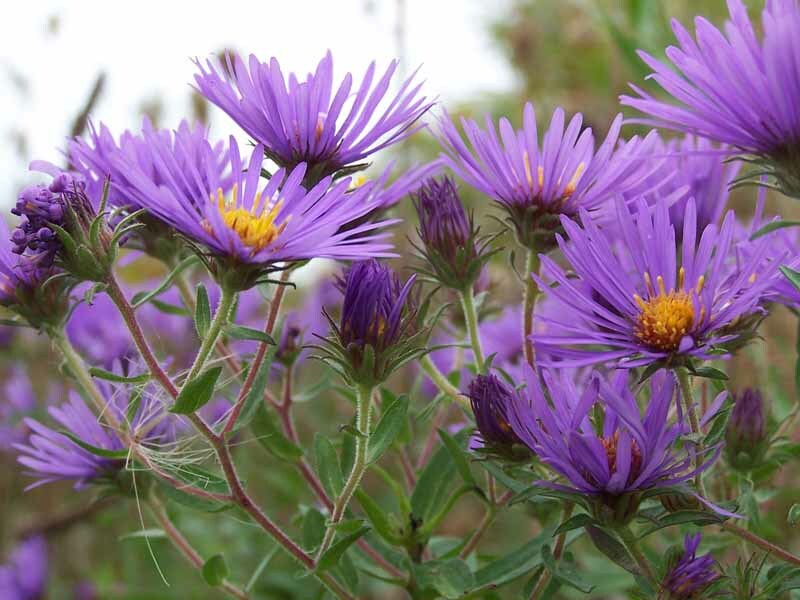 New England Aster (Symphyotrichum novae-angliae) earns it keep in the landscape as a native that attracts pollinators, and a last blast of color in the summer-to-fall transition period. It does best in full sun with average soil that’s moist, but well-drained. Once it gets going, this aster is more like a shrub. Reaching heights of up to 6 feet, it’s a profusion of small, feathery purple blossoms that open continuously during August and September. Left to its own designs, it may require support. Alternatively, you may prune early in the summer to minimize legginess. In addition, you may prune at season’s end or leave withered stalks for habitat and winter interest. Self-sowing and naturalizing contribute to its proclivity for spreading. Montauk daisy (Nipponanthemum nipponicum, formerly Chrysanthemum nipponicum), or Nippon daisy, requires full sun and average, well-drained soil. 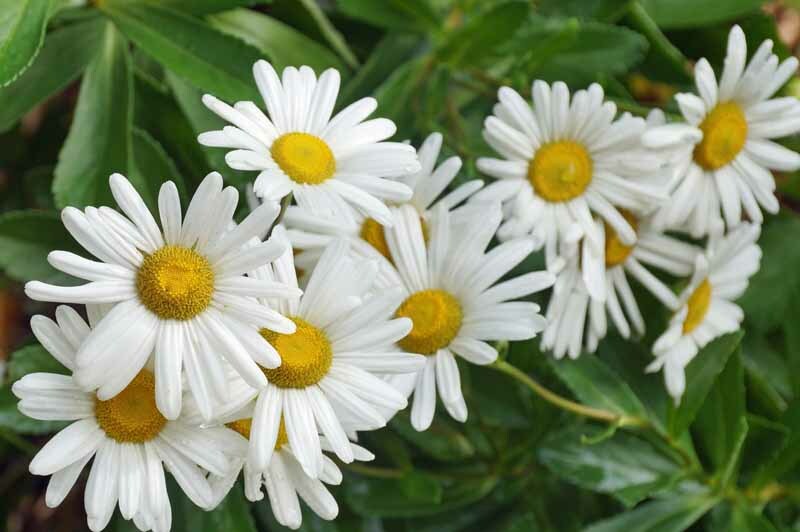 It’s a clumping daisy with white petals and greenish centers that makes a showy entrance to the landscape in July and August. I like its shiny, succulent-like bright green leaves, and the fact that early in the summer, even before it blooms, it’s attractive. Some, I leave alone for color around July. Others, I prune it back a few inches around Mother’s Day, and then again around July 4th, to put off blooming until autumn. I like this type of versatility. At a height of 1 1/2 to 3 feet, I find Montauk daisy makes a good companion to my wild and weedy bee balm, and more reserved balloon flower; when the stars align just right, I have a red, white, and blue display for a patriotic fourth. It performs best mid-story, with flora in front for support that also mask the bare legs that come as it matures. Sow seeds or plants in early spring in zones 5 to 9. Leggy growth may require staking. Divide over time as needed. Perennial tickseed (Coreopsis lanceolata) or lance-leaved coreopsis thrives in the poorest of soil, provided it drains well. 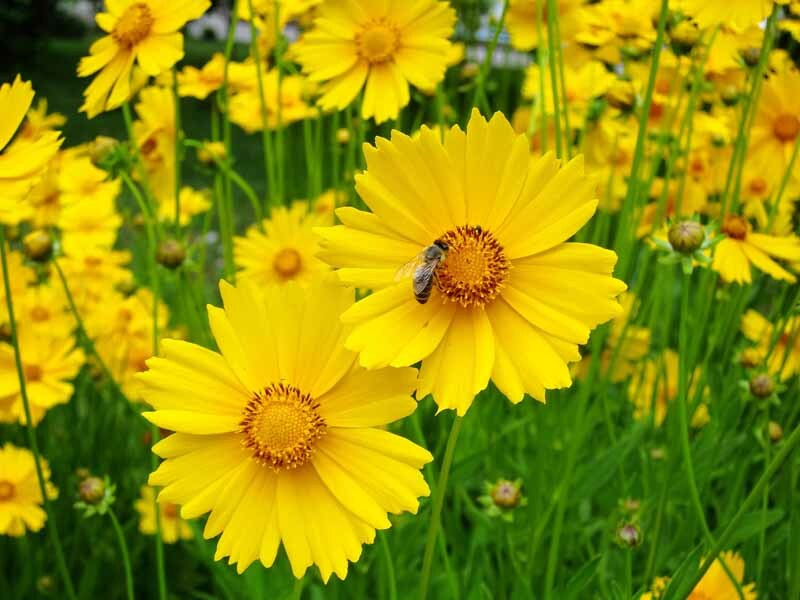 With slender stems and bright yellow-orange blossoms, tickseed is a low-maintenance, sun-lover that performs beautifully in mixed beds and borders. Topping out at 1 to 2 feet, it’s also an attractive addition to rockeries. 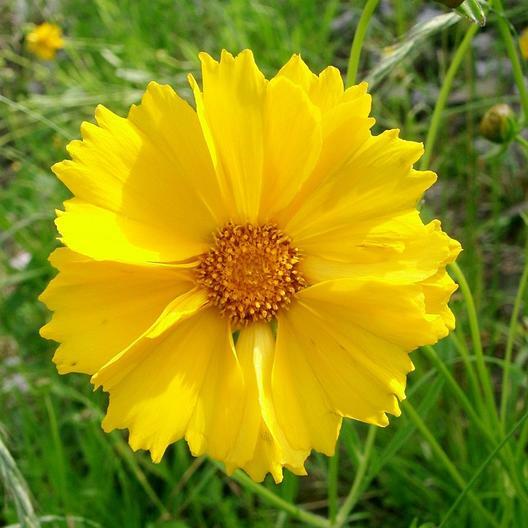 There are many coreopsis varieties, some of which are annuals, so be sure to refer to the full Latin name when purchasing. This type is a native that blooms from May to July and attracts beneficial insects to the garden. Perennial tickseed self-sows, enabling it to naturalize with vigor. It appreciates room to spread out, and you may find it needs dividing after a couple of years. Sow seeds or plants in early spring in zones 4 to 9. 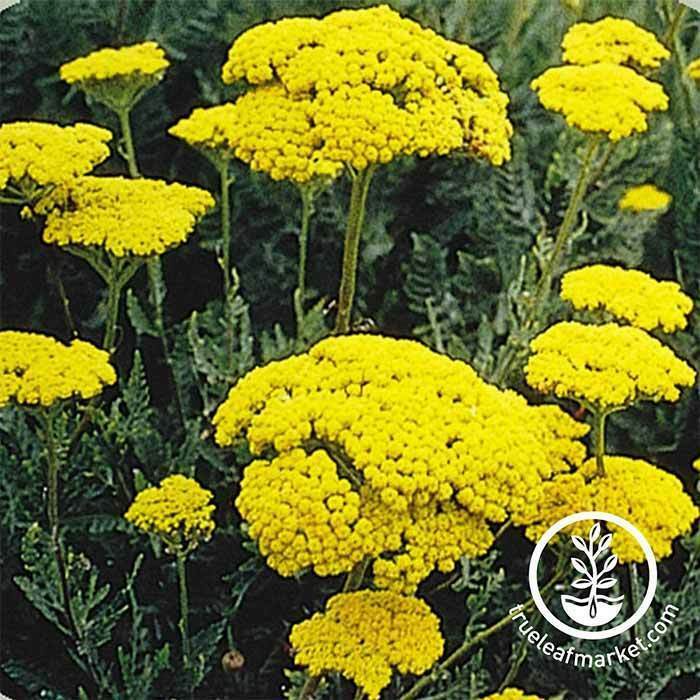 Yarrow (Achillea millefolium) is an herb that grows in full sun in sandy, well-drained soil. 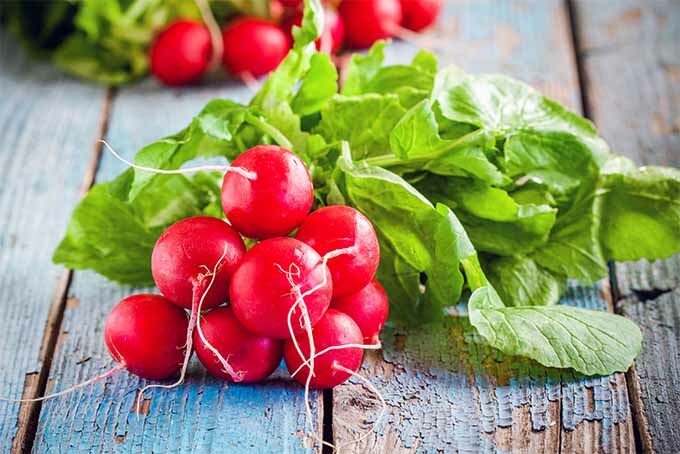 Cultivars are available in rich shades of red, white, and yellow, and heights may reach 2 to 4 feet. Ferny gray-green foliage and a distinctive, spicy scent make this an attractive addition to the landscape. Its key features are its longevity, blooming from June to September, and the color saturation achieved by grouping clumps and through naturalization. Yarrow is appreciated for being drought-tolerant and able to thrive in rough areas of the garden where even the grass won’t grow. 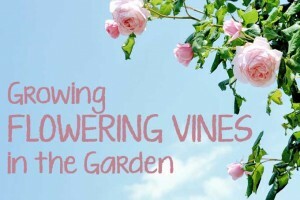 It is inclined to get a bit straggly, so it’s best to give it a pruning in late spring to encourage compact growth, and to prune spent blossoms and stems as needed. Sow seeds, rootstock, or plants in zones 3 to 9 in early spring and divide over time as needed. 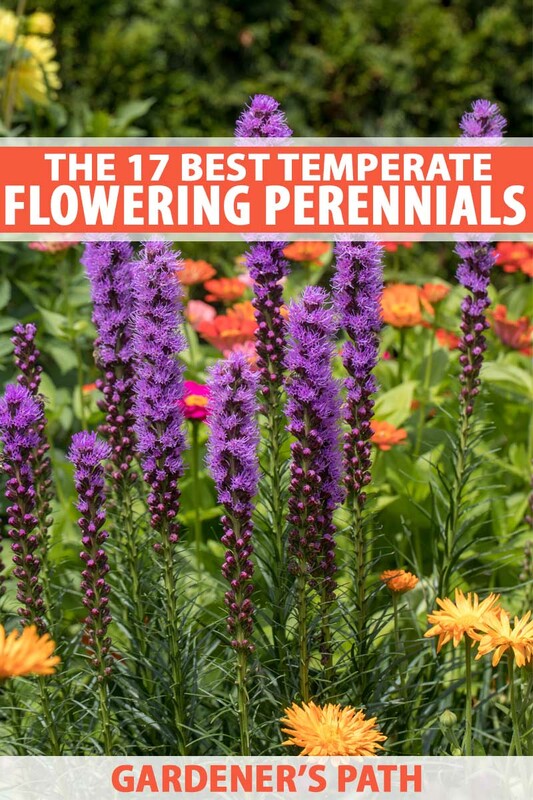 Well, there you have them – 17 outstanding flowering perennials to beautify your outdoor space. And don’t forget to include deciduous and evergreen shrubbery as well as native and ornamental grasses for dynamic textural and structural impact. 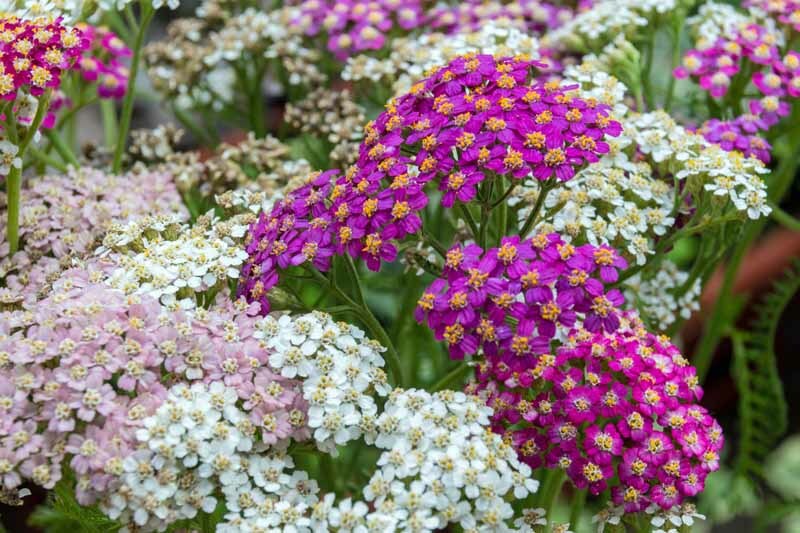 See more yarrow selections and colors here. 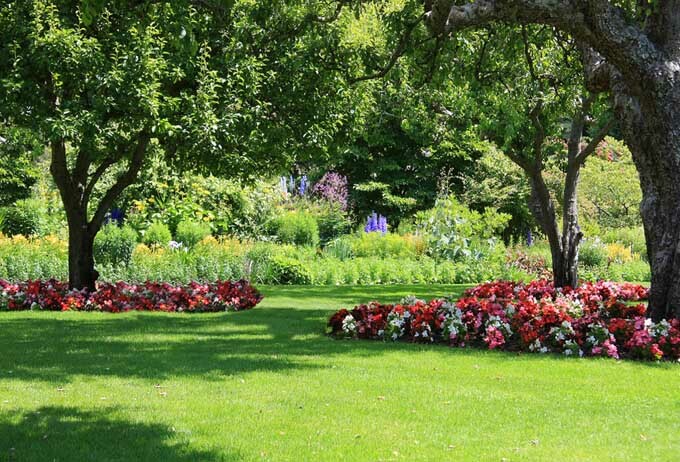 Mature vegetation is a valuable addition to a home landscape, and you now have the inside scoop on some of the best choices for starting your own artfully designed beds and borders. 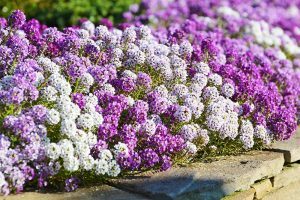 Say good-bye to haphazard assortments of annuals, and hello to the enduring gardens of your dreams, where perenials complement one another, and grow more beautiful with each passing year..
And do you know what I really like? 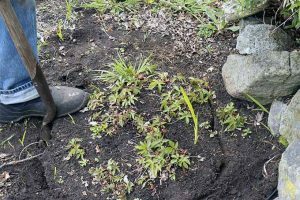 You can divide perennials when they outgrow a space, or you just want to establish them elsewhere. Exchange them with gardening friends! This is a great way to expand your beds and borders for free. 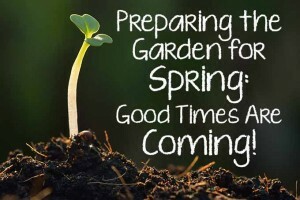 What’s on your garden list this year? We can’t wait to hear how their attributes guide your design plan! Product photos via True Leaf Market, Burpee, Eden Brothers, and Nature Hills Nursery. Uncredited photos: Shutterstock.